PacificSport Centres service communities across British Columbia. Refer to the list below and the map to see which of our centres service your region. The Canadian Sport Institute is a registered BC not-for-profit society delivering on the sport excellence policy of the Provincial Government. 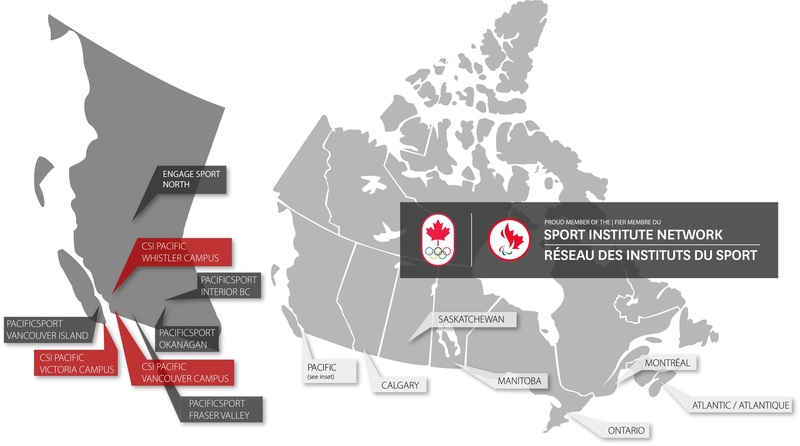 Canadian Sport Institute (Pacific) is a member of the Canadian Sport Institute Network; their mandate is to support athletes capable of winning medals for Canada on the international stage.